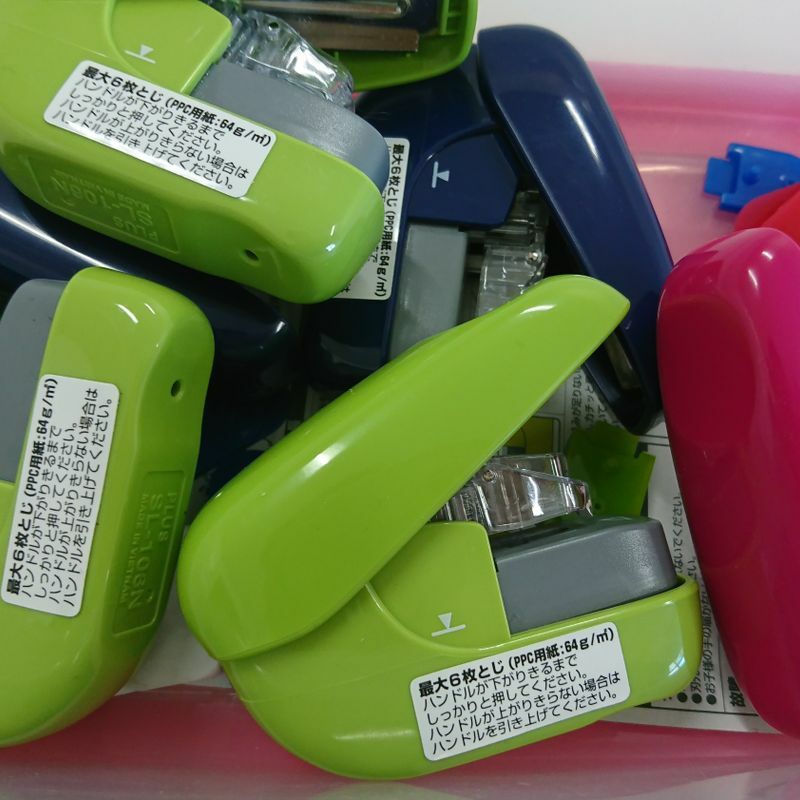 In an attempt to be more environmentally friendly, my school in Japan has just purchased a bunch of these staple-free staplers and I am very proud of my school for that decision. We had a meeting to talk about wasting paper and supplies, and teachers were encouraged to look into new ways we could do better in being sustainable. A couple of weeks later, the school supplies manager introduced us to these small new gadgets. All the teachers were confused until she said that they are staplers. From her demonstration, she just took a couple of pieces of paper on her desk, thud, and they were stuck together! 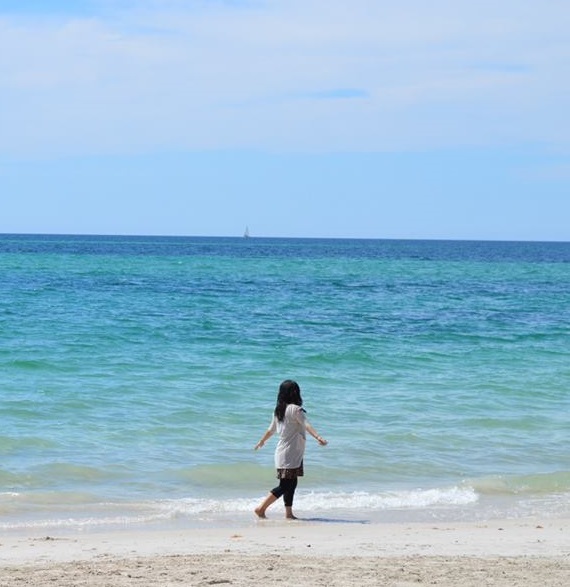 It blew all of us away! The school bought 8 just to try, but we have been using them daily since they got to the school. Whenever we have something to stick together for handouts, particularly only for teachers to look at, this is our go-to now. It feels great that we are not wasting tens of staples a day, and a few teachers are even using them for the paper, homework and exams in their own classes. It does come with some negative parts which I will expand on later. One reason why I am happy with this though is that I feel bad for throwing away so many staples when I used to use way less paper and staples back home. But since Japan really likes handing out paper to explain exactly what will be talked about or what people should have received in their e-mail inbox already, every little bit we can do to save the environment helps. I also like that this is making students think about how wasteful they are with things as well. As one teacher came back and explained, their class had a discussion and most of the 5th graders in the class expressed that they had never thought about staples as 'us throwing metal away into the burnable garbage pile.' These staples became a way for the Japanese children to learn, too. Now, the negative bits. First and foremost, the papers are not as stable. Rather than using a piece of metal to hold them, this gadget cuts and folds a bit of the paper inward. Because of that, a few strong shakes and it might come apart. To resolve that, I do a double punch rather than just one. There is a limit on how many page a "stapler" works with. The ones we have can do up to 6 pieces of paper and that is because the office supplies manager decided on it based on budget. The more expensive models can stack more, but the ones we have now have a limit. For more pages, we are using reusable clips. Lastly, it does need practice. 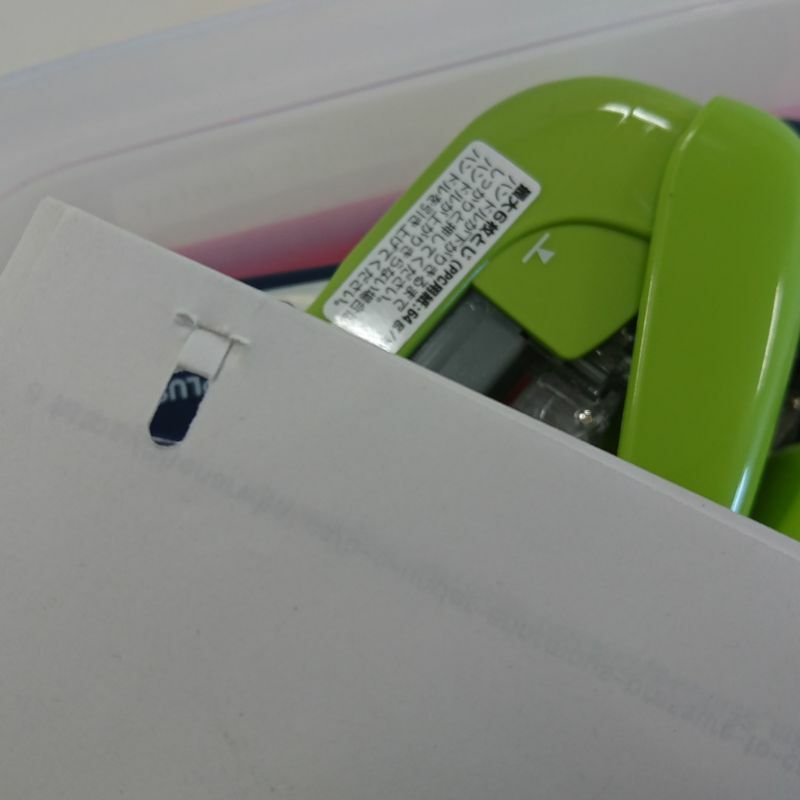 It wouldn't take you more than 3 minutes to get used to it, but this means we can’t just hand them out to students and expect them to be able to use them smoothly just yet, so the teachers are doing most of the stapling. With the negative points mentioned though, I personally think they are still very worth it because they are helping the environment. 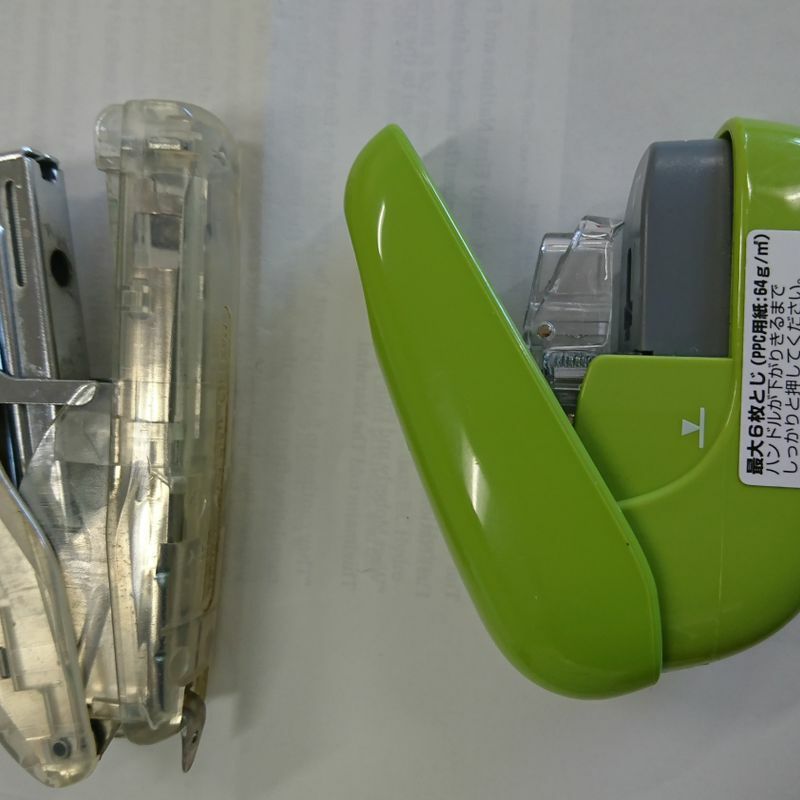 Each "stapler" costs about 600 yen, which I think is very reasonable. Now I am thinking about getting one for myself at home, and I don't even have things to staple!